Well known and beloved former Ruston Town Clerk, Loretta (Rita) Prettyman (93) died peacefully in her sleep Friday, May 25, 2018 at Brookdale of Puyallup Hospice in Puyallup, Washington. Born March 6, 1925 at Tacoma General Hospital in Tacoma, Washington to Frederick and Mildred Bittner nee Burnside; she was the granddaughter and great granddaughter of Washington and Oregon pioneers. Her grandfather Ernst Boettner homesteaded on what is now Ft. Lewis; and her father owned the dairy in Dupont, on the site of the original Ft. Nisqually, where she and her brothers held dances in the block houses. On her mother's side; the Burnsides homesteaded in present day Haines and Hermiston, Oregon. She is survived by her brother, Fred Gordon Bittner, Olympia WA; and 6 children Arlene (Bob) Jackson, Leonore, ID; Diana Cashman Howard, Las Cruces, NM; Patricia Prettyman-Birge, Grand Coulee, WA; John Prettyman (Cher), Eatonville, WA; Susan Prettyman, Baltimore, MD and Janice (Joel) Bramwell, Gresham, OR; plus 10 grandchildren and 16 great grand children. She was preceded in death by her husband, John Jay Prettyman, parents, Frederick and Mildred Bittner, and brothers Edgar, James and Robert Bittner. She attended high schools in Kapowsin and graduated from Eatonville High School class of 1943. Her first job when she was a teenager was waitressing at Ohop Bob's, famed NW restaurant, and during WWII she like many others worked as a riveter for Boeing. 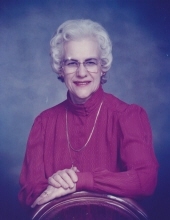 Following the war she met and married John Prettyman; but always worked, from gas companies to dairies until finding a job that was a perfect match for her talents, as the town clerk-treasurer, finance officer and judge pro-tem in Ruston; where what had started as a "fill in" position turned into a 30 year tenure. She was one of the founding members of the Washington Town Clerks Association. Prior to her retirement, she took up flying and was a member of the Ninety-Niners, and the Washington Pilots Association. Retiring in 1990 it was her turn to explore the world, with visits to the Mexico, Central America, the Far East, Caribbean, Middle East, India and Europe, while filling in the time between travels with volunteering at the NW Bible Seminary; and designing and knitting over 1000 sweaters for the Spafford Children's Center in Jerusalem. She was buried at the Lutheran Cemetery in the Bittner family plot in Spanaway. To send flowers or a remembrance gift to the family of Loretta M. Prettyman, please visit our Tribute Store. "Email Address" would like to share the life celebration of Loretta M. Prettyman. Click on the "link" to go to share a favorite memory or leave a condolence message for the family.